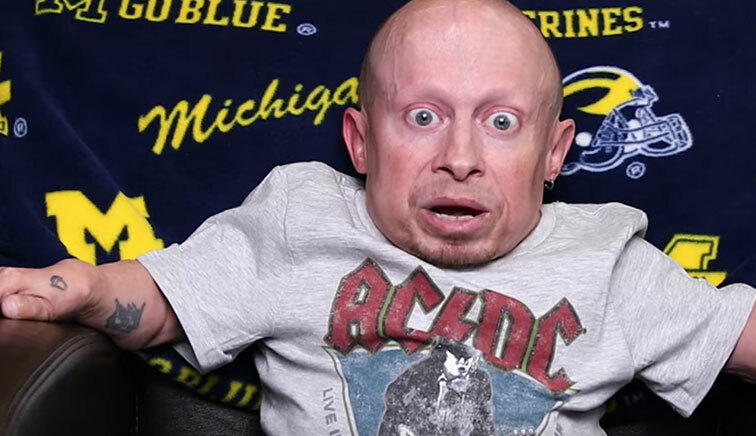 Actor Verne Troyer has passed away aged 49 and his last video gives a heartbreaking insight into his everyday battles. Although seemingly a standard ‘Pet Peeves’ format Verne’s honest and humorous presenting style inadvertently gives us an insight into the battles the 2’8″ star fought everyday. Some battles because of his fame, and some because of his smaller stature. Just because I’m small people think they can come up to me and tap me on the head, I’m not a lapdog, I’m a person. So please, if you see me, do not tap me on the head. Or. Else. While worded humorously, Verne’s peeve reveals his fight to be taken seriously and treated like a person despite his extraordinary appearance. We’ve all had moments in our lives where we’ve been patronised or not taken seriously and it’s incredibly frustrating and dehumanising – so it’s heartbreaking to think that Verne was constantly feeling this way even at 49-years-old and as a well known celebrity. There are people out there who have handicap placards that actually need them, I hate it when I see somebody average height, they’re whatever, they come out and get into their car parked in a handicap spot, when obviously they don’t need it. A few commenters did correct Verne by pointing out that not all illnesses that warrant a disability badge are as immediately noticeable as his own. But Troyer clarified that he was mainly frustrated when friends and family borrow a disabled person’s badge for easier parking. Which is infuriating, and sounds like it should be illegal. When I go into a public restroom and the toilet paper is out of my reach. What am I going to do? I’m on the toilet, I already started! 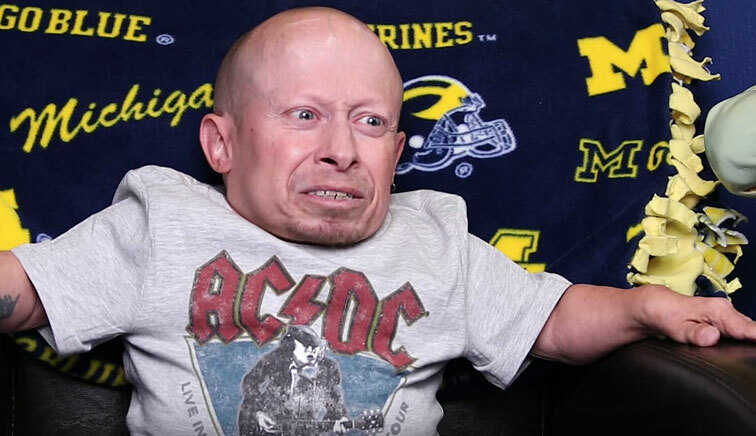 Again, Verne uses his wit and humour to discuss the serious subject of just how hard it could be for him to move around the world at times because of his condition. Troyer’s warmth, humour and good natured approach to sharing his life with his fans on social media really shine through in the video and bring home what a truly lovely man the world lost. When you’re eating at a restaurant and somebody comes up and says, ‘I never do this, but can I get a picture please?’ I thought you said you never do this and you’re doing it now. It’s hard to feel that Verne would have had the extra pressure of fame adding complexity to his already complicated medical situation. However, if the final pictures on his Instagram feed are anything to go by, he enjoyed life to the full and remained relentlessly positive. Rest in peace Verne, thank you for all the films that will live on forever. If you have experienced a bereavement and would like to speak with someone in confidence contact Cruse Bereavement Care via their national helpline on 0808 808 1677.